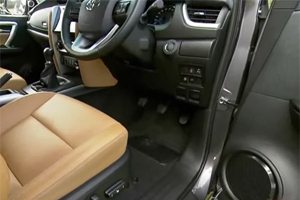 Toyota And GM Named In Lawsuits For Defective Cars. Toyota and General Motors have been named in a lawsuit that alleges that managers at a California auto plant ignored serious problems, including defective seatbelts and breaking systems, found in cars rolling off the facility’s assembly line. The plaintiff, a certified auditor at the plant, accuses her superiors of deleting or downgrading defects from her vehicle reports. The Toyota and General Motors whistleblower lawsuit also claims that managers retaliated against the employee when she objected. Toyota and General Motors jointly operate New United Motor Manufacturing, Inc. (NUMMI) in California. 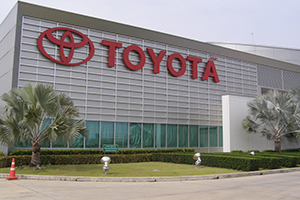 Toyota and General Motors embarked on the NUMMI joint venture in 1984, and the California plant produces the Corolla subcompact, Tacoma pickup truck and the Pontiac vibe wagon. Toyota and General Motors claim that safety is one of the “core values” at NUMMI. But if this whistleblower lawsuit is to be believed, the talk about “core values” is nothing more than marketing jargon. The plaintiff, a trained expert in spotting vehicle defects, claims that since 2005, her superiors at the Toyota and General Motors NUMMI plant regularly altered her vehicle reports to eliminate or downgrade instances of defects. Those defects included broken seat belts, bad headlight, poor braking systems, and steering wheel alignment problems. The Toyota and General Motors lawsuit also alleges that when the employee complained about the managers’ actions, they retaliated against her. The plaintiff claims that she was demoted twice, accused of being “crazy and violent,” and was forced to undergo a mental fitness test. The lawsuit also says that a NUMMI manager threatened to fire her, and attempted to get the plant’s personnel department to do so. According to the Toyota and General Motors lawsuit, all of this was done in an attempt to “break” the whistleblower so that she would quit her job at NUMMI. The lawsuit, which was filed on November 6 in the Alameda County Superior Court, is demanding unspecified damages from NUMMI, Toyota, Toyota in North America and General Motors for retaliation against a whistleblower and intentional inflection of emotional distress. According to the complaint against General Motors and Toyota, the plaintiff has been receiving medical treatment for stress, depression, fatigue, insomnia and panic attacks as a result of the poor treatment she was subjected to at NUMMI. The Toyota and General Motors lawsuit comes at time when Toyota, once thought of as a paragon of reliability, has been plagued by quality problems. 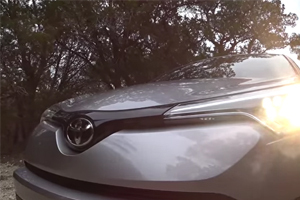 Last month, Consumer Reports said Toyota “is showing cracks in its armor” and will no longer get automatic recommendations from the magazine for new or redesigned vehicles. It also removed several Toyota vehicles from its recommended list because of quality issues. While Toyota is poised to overtake General Motors as the world’s biggest automaker by sales as soon as this year, the company recalled 766,000 vehicles in the United States last year, up from 210,000 in 2003. Need Legal Help Regarding Defective Cars?